Austin’s music scene is jumping seven days a week. 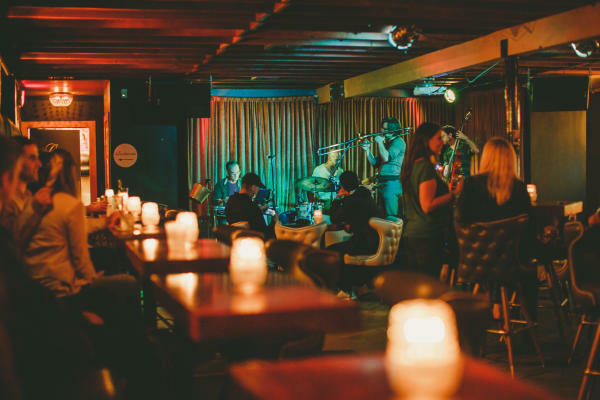 If you’re looking for some of the best places for your attendees to catch a show during their time off, check out these venues where some of Austin’s hottest acts hold live music residencies. On Sunday afternoons, the Urban Achievers Brass Band plays at Banger&apos;s Sausage House & Beer Garden. The brunch show runs from noon - 3 p.m. and guests choose from dishes that include specialty sausages (like the beet-and-goat cheese version), along with more than 100 craft brews on tap, as they dine outdoors in the leafy beer garden. The White Horse is a true Austin honky-tonk that serves up live music seven nights a week. Regular free performers include: Dave Insley’s Careless Smokers on Saturdays at 8 p.m.; Sunday Nights with Armadillo Road & Silo Road at 9 p.m.; and Honky Tonk Tuesdays with Devin Jake & JD Clark Band at 10 p.m.
At the Saxon Pub, Austin singer-songwriter Bob Schneider and his band Lonelyland have been a Monday night (8:30 p.m.) draw for 15 years, while The Resentments play everything from Dylan covers to their own eclectic acoustic riffs on Sundays at 7:30 p.m. Local singer-songwriter Patrice Pike is also playing at Saxon Pub on Thursdays at 8 p.m.
Austin music lovers in the know head upstairs to The Continental Club Gallery for intimate shows. Get there at 8:30 p.m. for Church on Monday with Elias Haslanger and Dr. James Polk, voted Best Jazz Band and Best Ongoing Residency. Blues instrumentalist Paul Oscher, formerly of the Muddy Waters Blues Band, will be playing at C Boy&apos;s Heart & Soul on Thursday nights at 6:30 p.m. through September. The Blue Monday Band with ace guitarist Derek O’Brien and a lineup of regulars has been a fixture at Antone’s Nightclub on Monday nights at 6:30 p.m. And for more blues, head to the Continental Club for Miss Toni Price on Tuesdays at 7 p.m. or The Blues Specialists on Fridays at 6:30 p.m.
An Austin favorite since the ‘70s, Alvin Crow performs at 9 p.m. on Thursdays at the Little Longhorn Saloon, a country hole-in-the-wall known for great music and never charging a cover. For a little newgrass with your local craft beer, head to South Austin&apos;s Austin Beer Garden Brewing Company (or "The ABGB") to see Warren Hood at 6:30 p.m. The 10-piece Matchmaker Band plays Motown, soul and funk at 9 p.m. during Motown Monday at The Highball. Or experience the Live Music Capital of the World alongside our prime patio weather at Cedar Street Courtyard with Jonny Gray on Thursdays at 6 p.m. or Rochelle & The Sidewinders on Sundays at 3. Dale Watson at PCMA Convening Leaders 2017. Courtesy of Arts + Labor. The Live Music Capital of the World®, with more than 250 venues and 2,000 musical acts, offers a sound and a location to match your needs. 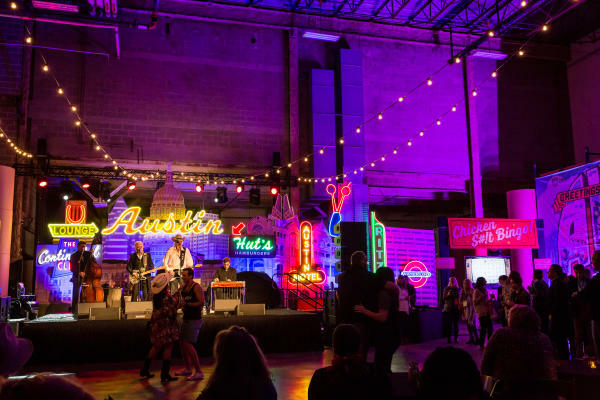 The Austin Music Office ensures that all visitors experience the music scene by working with groups in any budget range to book local bands of all genres for conventions, keynote luncheons and off-site receptions.